While developing new drugs, pharmaceutical scientists often struggle to process the large volumes of complex information generated by the clinical testing of molecules. Typical examples of such biochemical and physiological data include population analysis, pharmacokinetics, pharmacodynamics (PK/PD), and their variabilities. These can be studied with the help of advanced quantitative techniques and mathematics. In other words, the clinicians and pharmacometricians require advanced model-based drug development solutions to improve the performance and processing time of studies in pharmacology. Realizing the need for statistical and mathematical software to carry out clinical trials, Lixoft was founded after a seven-year-long research program in statistics and modeling for drug development and clinical trials led by Inria, a French-based research institute. In the beginning, the company’s focus was on software development to create products leveraging the latest advances in modeling and statistical analysis while ensuring ease of use to end consumers. 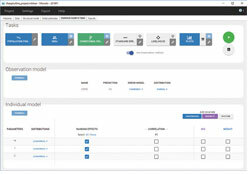 Lixoft still continuously works toward improving the usability and quality of its software solutions. The company offers an advanced and capable offering—Monolix suite—comprising modeling and simulation software for model-based drug development. 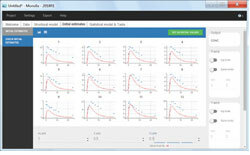 The Monolix suite includes powerful and easy-to-use solutions for population analysis in pre-clinical and clinical trials based on proven statistical estimation method. It collects data from all the different phases of drug development, from pre-clinical to clinical trials to post-approval. Model design, diagnosis, and computational time of statistical modeling are crucial elements while developing complex drugs. Organizations thus require efficient computation engines with proven statistical methods that can evaluate extensive information. This is where Lixoft is gaining traction with its Monolix suite. The company is not only providing its customers with a complete rationalized solution for the model designing process, population analysis, and clinical trial simulation but is also taking steps to make the quantitative studies during the drug development phase cost-effective. Lixoft’s development efforts empower the clinicians and pharmacometricians to concentrate on drug development rather than the statistics and mathematics involved in it. “We are already one of the most widely used platforms for pharmacometrics, population analysis, and simulation of clinical trials in the healthcare industry, academia, and regulatory agencies,” mentions Jonathan Chauvin, CEO, Lixoft. Continuous initiatives directed toward advanced research in statistics and modeling coupled with a multi-pronged strategy have enabled the company to introduce its products in the market. Additionally, Lixoft maintains a close collaboration with its academic partners, which helps the company to improve its modeling solution by analyzing the latest trends. The company also provides support to deal with the back-end functionality of the software, allowing the clients to focus on their core work rather than spending time on learning about the software. “We use the framework of interoperable software during the development process making the workflow efficient,” says Chauvin. One of the top five pharma companies used the same interoperable software during the development process to streamline their workflow. The pharma company was struggling with a drug development as they were using three different tools for carrying out the modeling and simulation process. 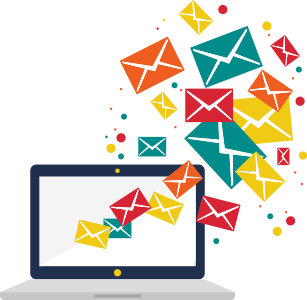 The firm was spending more time in migrating from one software to another, making internal communication difficult for those operating the software. The client found the modeling of monoclonal antibodies targeting a tumor to be tricky and complicated. As it was an oncology study, they had limited patients to conduct the test on. MonolixSuite was used to model the drug behavior and provided the pharma company with a better understanding of the impact of the molecule on the population at each phase of the study. In the end, the Food and Drug Administration (FDA) approved the drug, and Lixoft’s software issued a drug regimen for the pharma company. Lixoft has simplified various such processes for its clients and continues to carry out R&D programs leveraging new fields of applications for Monolix such as modeling of the population for single-cell studies. 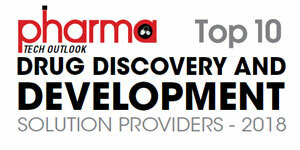 “Our focus is to be at the top in terms of statistics and modeling for drug development and clinical trials. We are now extensively developing our team of computational biologists to strengthen the collaboration with customers,” states Chauvin. The firm has numerous ongoing projects in precision medicine and is also making efforts to specialize in the modeling of digital biomarkers and digital endpoints for various therapeutic areas including central nervous system (CNS), degenerative, immune-mediated diseases, and different types of cancer. In the next two years, Lixoft looks forward to expanding its product line in an endeavor to discover more opportunities to serve the community better.